Health officials confirmed three Zika virus cases in the East Bay today and said they post no threat to public health. Alameda County has one case and Contra Costa County has two cases; neither county is releasing further information. San Francisco health department spokeswoman Rachael Kagan said the city got confirmation of its Zika virus case on February 4, but delayed announcing it to the public because there was no health threat. The city announced the confirmed case yesterday. San Francisco Health Officer Tomas Aragon says the person who tested positive for Zika virus is fully recovered, and there is no risk of transmission. Zika is transmitted when a particular species of mosquito bites a person with an active infection, and then bites another person. The Aedes mosquito that spreads Zika has not been found in San Francisco. "There is no reason for the general public to be concerned that they are at risk for getting Zika in San Francisco at this time," Aragon said in a statement. "Zika is not circulating in San Francisco." Zika generally causes mild flu-like symptoms, but has been linked to a birth defect that causes babies to be born with unusually small heads. Aragon said the San Franciscan who has recovered from Zika is not pregnant. This is the second case of Zika virus confirmed in the Bay Area, and the third in Northern California. Napa County health officials said yesterday that a pregnant woman, who had also traveled to Central America, was confirmed positive for Zika. KQED's State of Health reported yesterday that the woman was not showing signs of infection. “This Zika virus case is not a threat to public health. 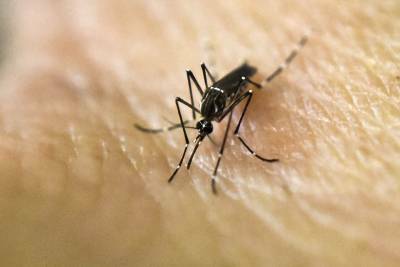 There is no active transmission of Zika virus in Napa County, and the two kinds of mosquitos that transmit the virus have not been found here,” Dr. Karen Relucio, Napa County health officer, said in a statement. Napa public health officials say they expect to see more Zika cases. The agency is working with local doctors to test for cases of Zika virus both in pregnant women who have traveled to countries with Zika virus or who have sexual partners who have traveled to these countries.